Hey hoo, the Zimbabwe Defence Forces have a new quartermaster! One who knows it all, and manages the national armoury from far-away Kenya. Maybe these are the wonders of a twitter epoch: you know it all, write it all, comment on all, and safely from afar. I am referring to one General Jonso who declares 40 percent of weapons “stolen” during Operation Restore Legacy are still not accounted for. 40 percent of what baseline figure, you wonder, bemused by this innumerate professor who thinks throwing about meaningless figures makes propaganda tangible and believable. I suppose he reaps and profits from gullibility in many newsrooms. From the expansive corner of his palatial home where he curled and hid quaking, our G-40 “commander-in-chief” eye-witnessed. I am sure he knows the coordinates of the armouries, this our brave son who out of fear of arms, is yet to collect a shotgun issued to him by the Police to shoo off wild pigs at his underutilised farm. Busily and patriotically worrying about the unsecured armouries, he still had a neat moment to yell: “Mama, please come save us!” Without doubt a yell of valour to his gallant succession forces as they engaged the enemy — man to man — in a brave usurpation battle. Soon after that epic episode, the quartermaster bravely wafted into self-exile where he daily wanes, weather-and distance-beaten. Nothing gets him more panting and sweating than the fear of the what-might-have-been. Today he nurses his once vaulting ambition, now nicely shaved and cropped down to midget size. Immaculately dressed as befits all pretentious, perfect coxcombs, he daily inanely plies the roads of Nairobi, vainly fending off engulfing oblivion, and forlornly counting on his tweeting finger to redeem his vanished flourish. A man who limped past the border, gnawed by grave terror, bravely unencumbered by the impertinences of filial family care, still had time and temerity to count 40 percentage points – of nothing! For as history mercilessly records, he fled, wife, children, sister divested, all of them left to the tender mercies of those he so reviles, yet whom he so circumstantially appointed his family keepers. What boldness, how ironic! It remains to be seen why he seems so anxious to naturalise, frame and explain away the recent grave terror attack at White City Stadium, which to date has claimed two innocent lives, and injured scores of equally innocent Zimbabweans. His remnant cell in newsrooms, including in one international agency, looks fatigued and virtually spent. Quite soon, it is destined for a reset, so to speak, before it mounts its last ditch effort meant to discredit ED. The world is full of eyes. I very well remember the current MDC Alliance leader, Nelson Chamisa, spurning the offer of a tractor under the post-Land Reform mechanisation programme which at the time was being run by Dr Gono and the Reserve Bank of Zimbabwe. The young politician made it clear that he being a mere “worker”, he would have nothing to do with the Land Reform Programme. Or anything associated with it. It was a definitive posture of renunciation, one which left me wincing and wondering why and how a youngster so suckled and raised by our tired earth on which his parents had been consigned and confined by settler colonialism, would snot at this “mothering” heritage, indeed show it an erect middle finger. Yet that he did. Much more, it got me wondering if and when our opposition party and politicians would ever come to grips with the realities of land, doubly in the metaphoric sense of the politics of this country, and literally in the direct sense in which the issue of land is a key determinant of the national question. In the case of the late MDC-T leader, this epiphany would strike just before his end. Of course his young brother, Casper, much wiser than his age and brother, saw early light, fully obeying the pull of the land. He farmed in Midlands, possibly still does. Tsvangirai’s last conversation with President Mnangagwa related to this very critical matter, a conversation broached rather too late in his vanishing life. He pleaded for some allocation of land to his family, and more broadly to his party members who NOW appreciated and saw the need, a good two decades later, and after so much damage both to themselves and to the national cause. Such is the overbearing nature of land on the life and politics of this Land, indeed on the lives of all its children, however wayward their political predilections may be to begin with. For, as we say, however high and away it flies, the soul and spirit of the bird is in the nest! 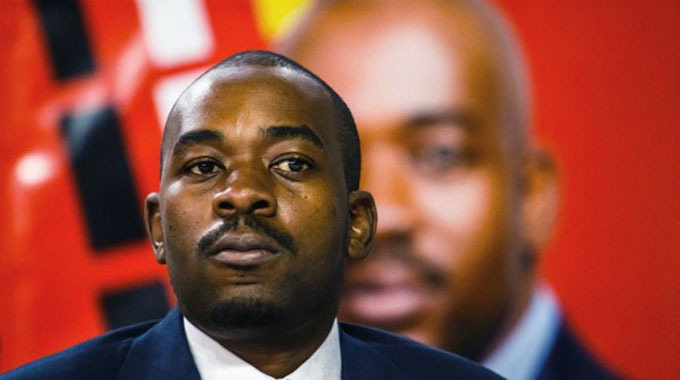 Recently, in fact a few days ago, Nelson Chamisa told his party faithfuls that he would offer title deeds to all farmers whom Zanu-PF has resettled over the troubled years. This is a welcome turnaround. But I doubt very much that he sensed the incongruity of all this. The issue to note and rejoice over is not so much the Alliance’s new disposition and policy on land, all of it still as remote and ill-thought as is their politics on the same. The point to rejoice is that for once, and so late in Land Reform and in his personal political career, Chamisa now embraces the land, realising its centrality in defining the chances and prospects of any politician raised on and by this Land. As for the idea of offering title deeds to farmers, well, he is obviously unaware that he is flogging a tired argument, flogging dehwe dungundu (flogging darkness), in view of where this suggestion stands in the long evolved and meandered land debate. No one reminded him he is still reading the first edition of a classical script that has been updated a million times over. And then superseded and abandoned. It makes his read and scholarship stale, worn out and tired in the ears of those already on the land, but whose vote he seeks to court for this election. In derisive unison, they half-mindedly remark: vatsva vetsambo (new dancers excited at the lately discovered sumptuous sounds of leg rattles). But as a lawyer, albeit one still under pupillage, he must know what the Constitution says on land: that all acquired land belongs to the State. As an African, he must and should know that against a long colonialism, the market of which deeds are an integral part, does have a colour, and does inexorably work against Africans as a matter of historical predestination and consequence. It does not require extra intellect for one to know how, as latest post-colonials, we fragilely survive in the shadow of the poverty ratchet, with the slightest mishap triggering a train of ownership catastrophes that peak with a bare-boned African existence. Already, houses are going, as, too, are household and personal effects, all pawned and mortgaged to the relentless laws of the so-called blind market forces. That is warning enough to the discerning, a part of which Chamisa isn’t, he being a late-comer. That is how tenuous our place and hold in and on the market is presently, against ravages of a racialised long colonialism. It thus is no brainer to talk of title deeds at this stage in the life of our Land Reform Programme, unless of course the motives are sinister. And they appear to be. The issue and argument of granting title deeds to resettled farmers is a new tact in pursuit of anti-land Reform politics. The only difference is that whereas Chamisa’s late boss took an overt anti-Land political position in honour and defence of white interests, Chamisa, in deference to present realities on land and in the Land, can only invest in an Adam Smith argument in order to look both literate and ostensibly pro-Land reforms. Yet at the core, the hope is that it is now the market which will chant “chinja maitiro” on the Land Reform Programme, and not his political horde. The difference, of course, is the same. Which is why the “title deeds” argument unites both ex-white farmers, their filial western embassies, and the opposition, all of them mediated by the mostly foreign run, driven or influenced banking ethos which reigns in the country. When capitalism realises its racial phase — which is to say white settler colonialism — can no longer sell, it sheds off colour for Adam Smith’s market laws, blindly taught and internalised by us as colour “blind”. Maybe the laws are blind in Europe and America where one colour rules; not here or elsewhere outside of the western world. A good lesson in political economy for the young politician, which one hopes he takes to heart for more elections ahead. Otherwise by broaching the subject of “title deeds”, the land-divorced young politician is no inch farther from his party’s anti-African, pro-white farmer, pro-Western politics. What he seeks and hopes for is that the current pro-business, pro-FDI discourse associated with the new dispensation will hide, or at the very least lessen the treachery of his party’s politics in relation to the recovery and retention of this key African heritage. We thus need to listen to him intently, analyse his thoughts keenly, all the time alerting the less discerning and more impressionable sections of our society to the full implications of this seemingly novel, clever argument. Before any responsible politician who seeks to lead this society with its historically racialised past, sells it the notion of a “land market”, they, surely, must have created conditions for a non-racial market in the Land, something present-day Zimbabwe is decades upon decades away from. And the way to do so is not to dish out defenceless legal paper against and in the name of which land reverts back to white landowners. Rather, it is to first fortify the economic position of natives of this Land, so they have a stake and substantive place in a non-racial market where both odds and opportunities are even and equal, outside rules and lasting effects of history. And since Chamisa loves quoting radical pan-African scholars, let us help him by reminding what Amilcar Cabral said, hoping he knows who Cabral is. Cabral warned that a people and class lacking basics — call it facing Maslow’s lower order needs — and thus pushed to desperation, can very easily be induced or made to turn or act against their own class interests. That includes pawning their heritage for a morsel of sadza. Good politicians know at what stage their people are, what place and class they occupy on the strata of society, so they offer and design policies and programmes which checkmate their vulnerabilities and susceptibilities. That is what makes for foresighted leadership, something far deeper than carping silly policies. Such a leader would then know how to plug his people’s vulnerabilities by insulating them mechanisms which through pseudo-fairness, confirm, entrench and further a historically predetermined, racialised status quo masquerading as the blind markets. Markets are never blind; they do have eyes, penetrating ones too, which is why they survive world crises. Zanu-PF has read our vulnerabilities as post-colonial Africans, which is why it has offered 99-year leases for beneficiary farmers’ long-term security, and of course introduced time-bound Command Agriculture through which the need in a farmer’s life for the historically tainted banking sector is obviated, or at the very least counterbalanced through State funding and of course by making the State the final arbiter in the land market. Except all this intricate argument is too much from this young politician, or his tweet-frenzied, non-voting peers! Still I am fascinated by this latest promise by Chamisa for another conceptual reason. Apart from this being an acknowledgment that no Zimbabwean politician can ever run away from the issue of the land, the Alliance’s policy response —if policy it is — is symptomatic of what one might term an “argument trap” which has dogged the opposition from birth. This trap, in my view, hints at both the unresolved and unresolvable conundrum in the founding politics of the opposition. Let me start with this very issue of land. Strictly from sheer common sense, does one raise a decent argument by seeking to secure a newly acquired asset whose claim and transfer you repudiated and rejected in the past? However cleverly MDC or its successive contraptions may try to rationalise, history records that they are and have been an anti-Land Reform movement right from conception, birth, cradle, upbringing and in their current splintered or fissiparous state. The Land Reform proceeded not only without them, but in spite of them. They opposed it by all might. Yet today they come into it and forward with legal offers to secure outcomes of a process they renounced, denounced and rejected, nay, around and by whose renunciation they won foreign funding that kept them going until very recently. Who believes them now? Who forgets the umbilical cord of treachery that joined them to foreigners whose interests they pushed for and defended on this very matter? In the eyes of right-thinking, patriotic Zimbabweans, this is a taint and stigma they carry to and beyond their political and electoral grave, and which, by own broaching, they continue to dig with each election. For why would a party with such a chequered history on land start a conversation on the same? Above all, far from being a convincing novelty, their title-deeds offer loudly announces that they have now come to the Zanu-PF party, albeit without the decency and decorum of late-coming invitees. They don’t even know where the cellar is, yet they already promise long-staggering imbibers casks of mature wine — they who have just come in. How absurd! That is on land. Let us bring the argument nearer home. The whole saga around ZEC and the voters’ register about which the opposition has been fulminating. What one finds staggering is not so much the demands made on ZEC, as it is the persons tasked to make or articulate those demands, in order to make them seem and sound as if they can make or break our elections. All of these people — to the man, to the woman — are lawyers whom one expects to know, speak and behave much better. Yet they don’t. Just how does a whole lawyer invest in an argument which is both illogical and ever diminishing in value and sincerity? Firstly, we had Biti frothing to tell us that the nomination process cannot proceed without the voters’ roll. Well, it did, and uneventfully too. And as matters proved, what the Alliance needed to worry most and to cure self-afflictions were not the voters’ rolls. What they needed to worry about was their failing Alliance and their vying, aspiring candidates who either tripped on each other for self-hurting multiple nominations for now reaching 14, or simply could not be raised for a staggering 40-plus wards and more than four constituencies that have since gone to Zanu-PF uncontested, fatally wounding opposition hopes and spirits. The Alliance now goes into the whole plebiscite on a limp, ranged against an opponent they have favoured with a loud head-start. With such opposition ineptitude, who needs to rig anything? And how do you show desperation for a voters’ roll in respect of raising a mere 10 nominees per province for your candidate, without giving away the fact of your organisational shakiness as a vying party? Just what message is this “thing” sending to its already enervated constituency? A few months back, the Alliance ran with a propaganda line which claimed chiefs and war veterans were demanding voter registration slips from villagers. This, they added, amounted to voter intimidation, in which case — they further argued — elections would neither be free nor fair. Coercion was at play, they cried in unison. We all listened, even with fussy empathy in some quarters. Today, the same coercion-averse opposition kicks a fuss over the fact that the voters’ roll does not have pictures, and is not analysable! Why would they want my whole picture, when just ceding my faceless voter registration slip to the village chief and/or war veteran is mortally coercive, and mortally injures the electoral process? The voter slip merely confirms I have registered to vote; my biometric picture delivers my whole vulnerable person and fragile frame to their awesomely clad and violently pre-disposed “vanguards”, so infamous for visiting generous violence on many of their own! Delivers my person to their tender mercies between now and July 30, whether away from, to or at the voting station and back. If the vanguards are that violent with their own, what more with me they either are not so sure of, or know to support another party? Did we not see them delivering violence right on the doorstep of the nomination court? They already have a roll which reveals my name, my registration number, my residential address, my voting station, and much more. On top of that they now want my “snap”! To complete my destruction; to perfect their invasive politics? Yes, to allow their “vanguards” to mark me off as a target, and do so with remarkable precision and ease? And they dare mumble about coercive electoral politics? In any case, what has my picture to do with mobilising me? It is my mind they seek to engage and talk to, not my handsome face. I need to know what they stand for, offer; they need the complexion of my thinking, not of my face, surely? Anyway, how is it that it is only their politics which are mortally injured by a non-facial voters’ roll? No other party is asking for our faces, none. Then you have that tweeting ex-Rhodesian soldier whose gun never shot for the four or so years he fought for Ian Smith, fought against our Independence, and democratic right to vote for which he now preens himself as its foremost apostle. I refer to David Coltart. Did you see one of his tweets where he attacked the public media for granting equal coverage space to what he termed “little” parties without a following or presence in parliament? How does he know beforehand the size of any of the contesting political parties and candidates? That new parties will not garner enough support to have a strong presence in the next parliament; that parties who currently have a presence in parliament won’t lose them in the next one? I am sure if Zanu-PF had made the same argument, he would be crying “rigged”! Yet we mustn’t cry so ourselves, because it’s the baas who says so? Anyway, let’s take his argument a little further. By that logic, how does Welshman Ncube and his MDC deserve any equal access to the media? And how does Zanu-PF not deserve a lion’s share of media access, of course by dint of its landslide presence in Parliament? The whole argument is not just crassly self-serving; it is self-entrapping although Coltart would not want it to be pushed to its self-denying, logical end. Much worse, it tells you this learned gentleman is not pushing for a level playing field; only punting for an unfair advantage for the MDC-Alliance which has since favoured, spared him the sweat by favouring him with a chance to fight for a senatorial position. Gentle reader, did you hear Chamisa declaring that unless he wins, our elections would have been stolen, in which case Zimbabwe would descend into an MDC-Alliance engineered chaos? I am just imagining how the same message would have been received if it had come from ED, or from any in Zanu-PF. How does it arise that some candidates have the “electoral” license for such fulsome, even threatening utterances, while others are not only denied the same license, but have their “silence” dutifully policed as incriminating in itself? So ED must go beyond silence to assure the MDC Alliance and its coterie of hostage observers and media that he will respect the outcome of the plebiscite. Yet he has not said anything on the matter, whether for or against. Meanwhile someone has openly declared violent non-compliance unless the outcome is as he pre-determines. He is accorded the aura of an infallible Pope! For him it spells confidence; for ED it would have been a menacing hint! Shouldn’t Zanu-PF allege that Chamisa, ZEC, Observers and Media have conspired to rig elections? Of course Zimbabwe will move on, move on and normally, after July 30, Chamisa and his “vanguards” in spite. The only regrettable fact is that the panicky Chamisa is beginning to sound like Tsvangirai, confirming he is no inch better, indeed very much elementary in his politics. Not that it changes anything. Ngachirire!